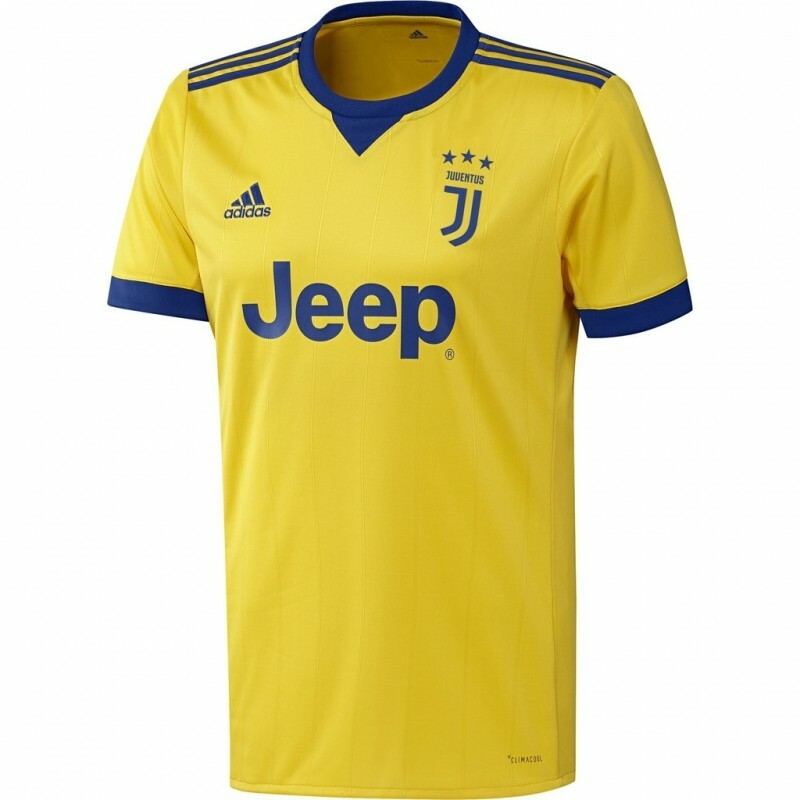 Juventus FC away shirt 2017/18 Adidas, 100% Polyester fabric Climacool, which keeps the body cool and dry. 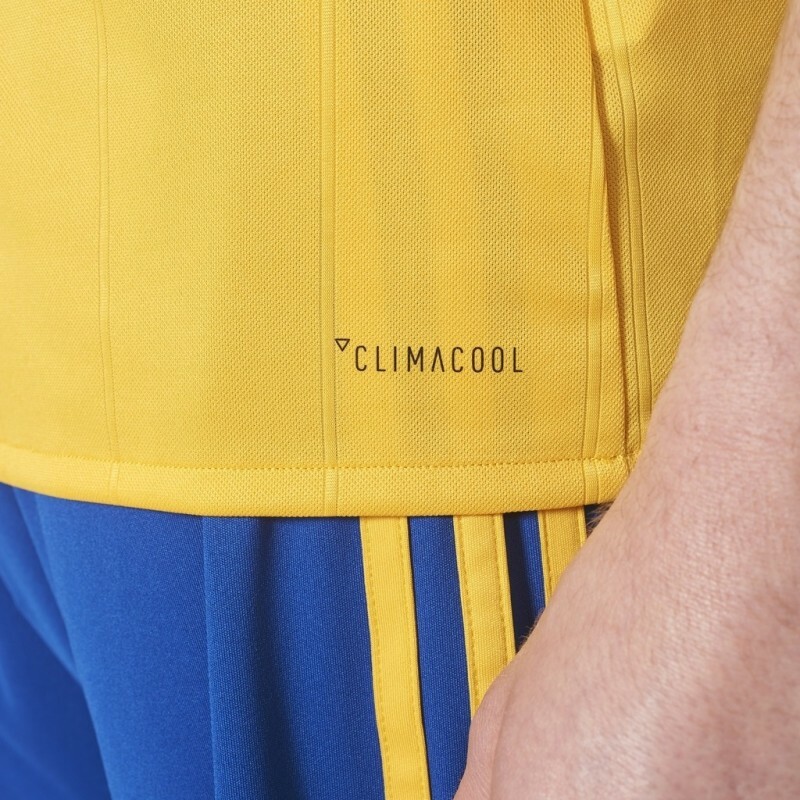 Rib crew neck with decorative ribbon on the back. 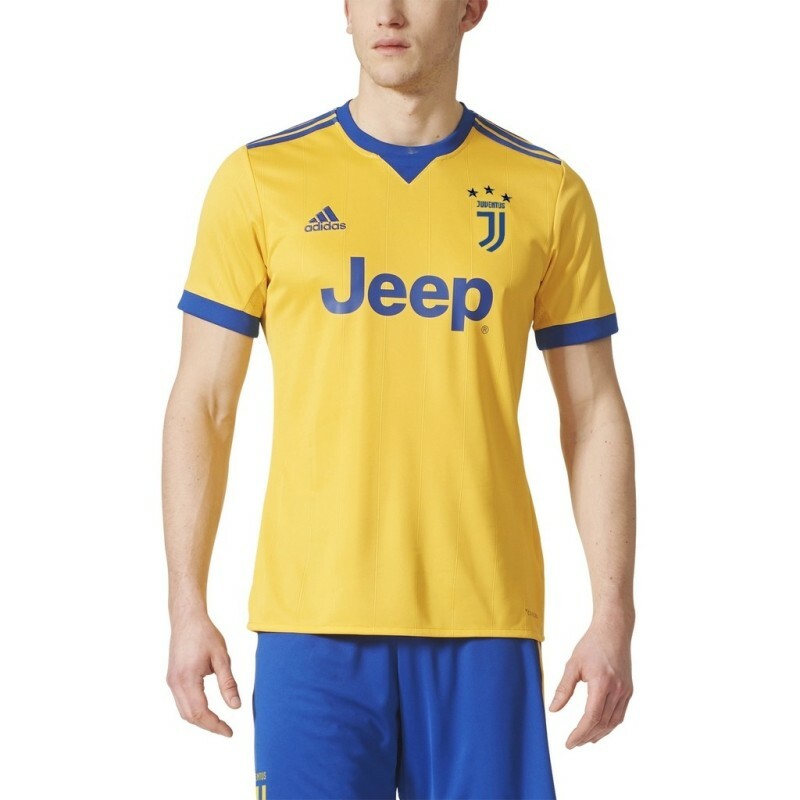 Sponsor Jeep thermo applied, the coat of arms Juventus Football Club JJ and Adidas logo sewn on the chest, including Patch emblem and cockade Italian Cup. 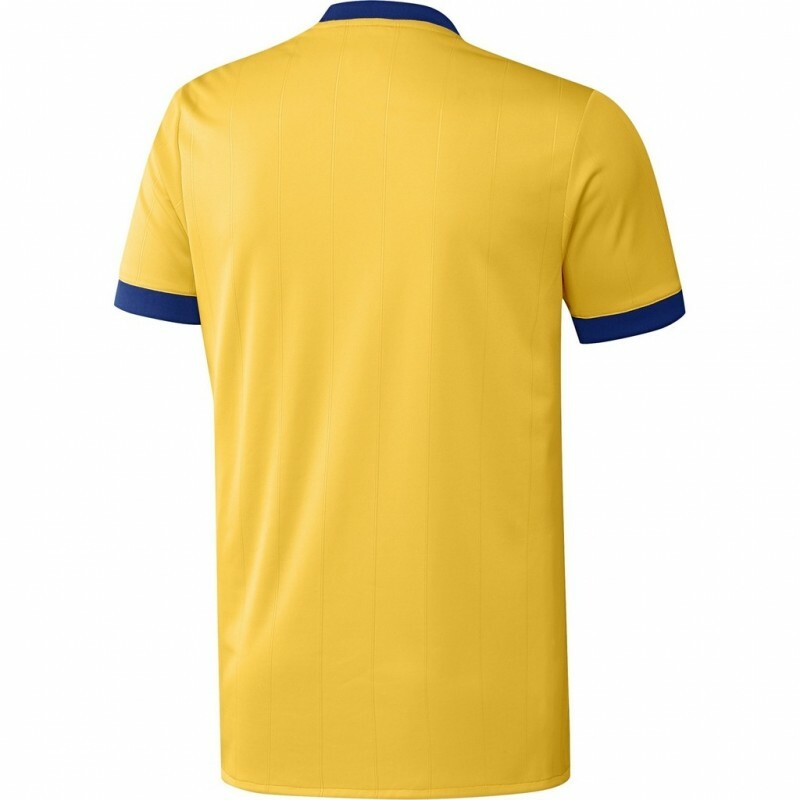 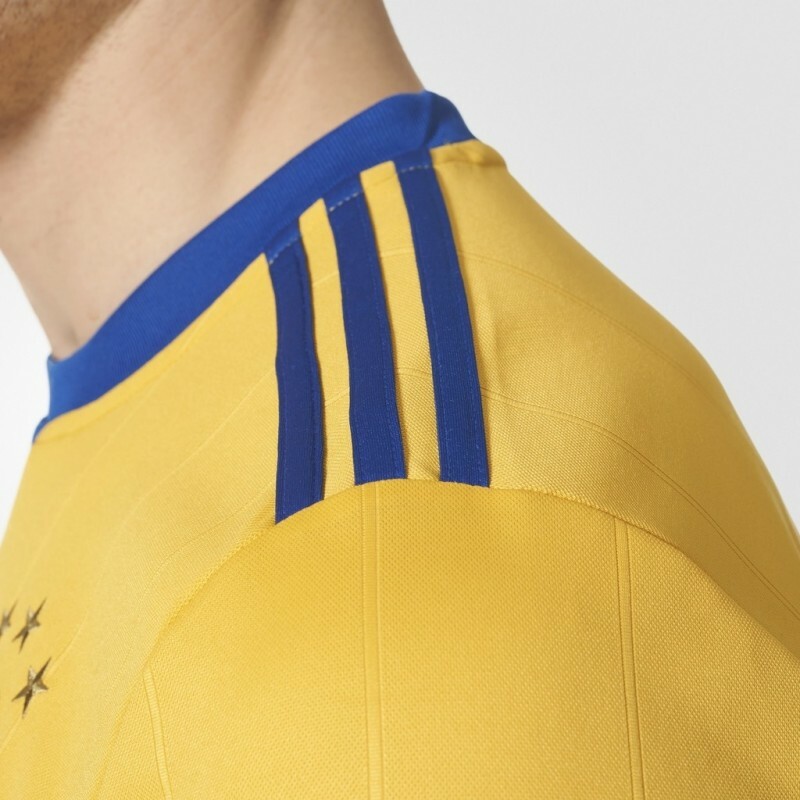 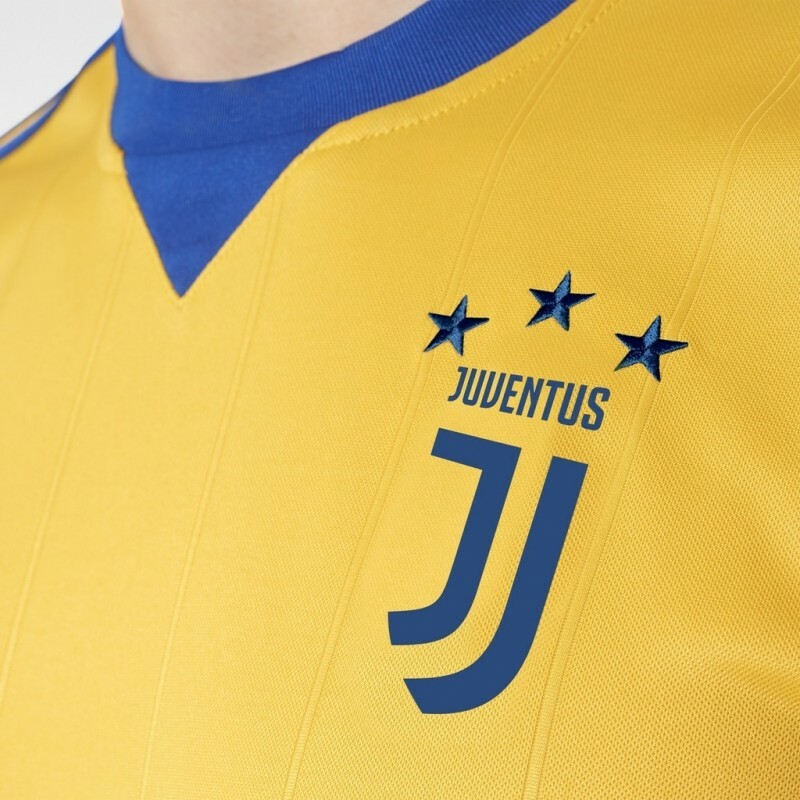 The color of the shirt away Juventus pays tribute to the city of Turin, and refers to the design yellow and blue that has seen triumph in the years 80' the ball around.